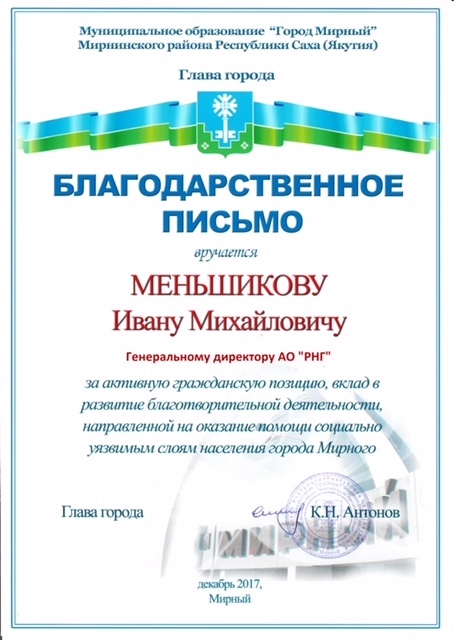 RNG General Director Ivan Menshikov received a letter of appreciation from Klim Antonov, Mayor of Mirny. aimed at assisting socially vulnerable groups of population. 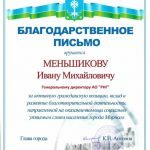 Honorary diploma was awarded at the session of Mirny City Council.